Charnwood have a superb SLX range of stoves, similar to the Charnwood LA stoves (previously featured), but with added styling and features. 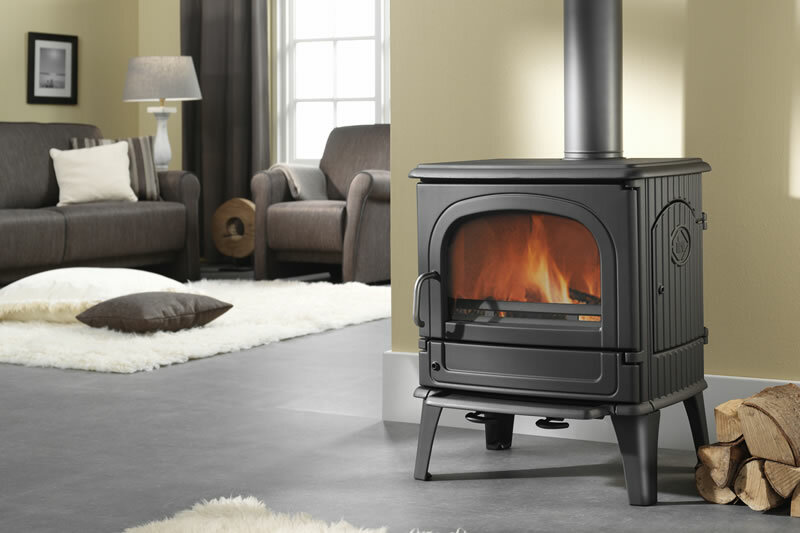 The Charnwood SLX range of stove comes in either the SLX 20, inset or freestanding (outset), or the SLX 45 inset or freestanding. The SLX 20 is available as purely a room heater, it uses a mixture of multi-fuels and has the option to add a boiler if desired that is capable of heating domestic hot water. 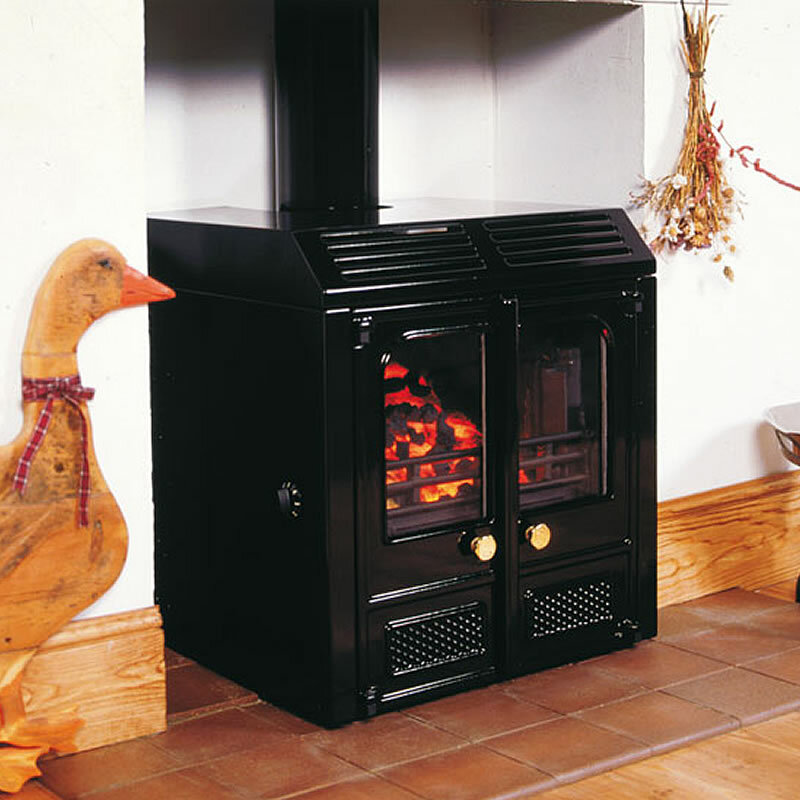 The inset stove allows the chimney to be swept through the stove and would be suited to most homes with a class one chimney or flue. The SLX 45 only comes as a boiler stove and heats up the room, hot water, radiators and is also suitable floor underfloor heating and the chimney can be swept through the inset stove. 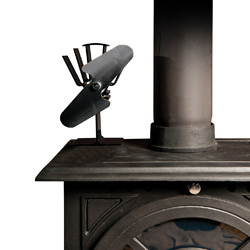 The stoves in the SLX range are constructed from steel, cast iron, fire brick and ceramic glass and they feature cool to the touch handles, which prove extremely effective when reloading the stove. 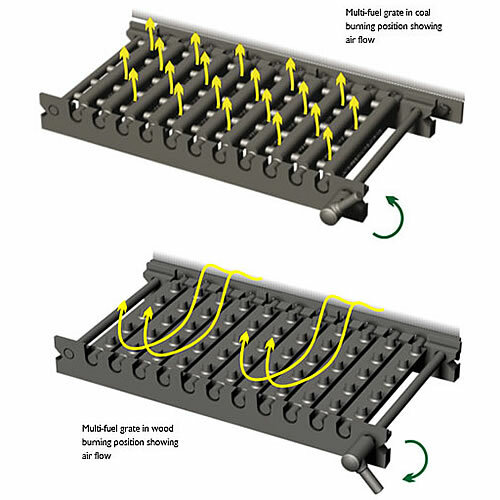 Both inset and outset models feature the Charnwood converting grate to help ensure the fuel being burnt receives the correct air flow to burn properly and effectively. 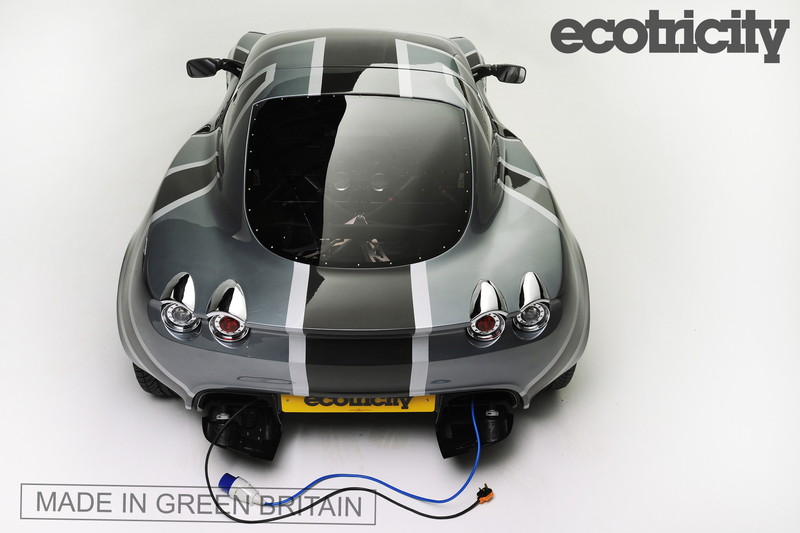 Superb design and phenomenal efficiency, certain to be extremely popular this season and into 2012, what do you think? Let us know and we'll publish your comments, (so keep them clean or they won't be seen!). The ever-rising cost of gas, oil and electricity has fired the imagination of householders trying to save on their heating bills. It’s not only good news for environment, it’s also providing a growing business for people involved in forestry and those selling wood and log-burning stoves. The experience of George Newburn, who runs Lytham Logs on the Fylde, is typical. He supplies high quality natural hardwood and softwood from sustainable plantations in Cumbria. George does have some words of caution, however. ‘If we keep burning hardwood at the current rate we will run out one day. Softwood is cheaper and quicker to grown. In fact, it grows twice as quickly but it doesn’t burn twice as fast. 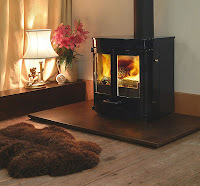 John Stanley launched Vesta Stoves in Scarisbrick five years ago. ‘We are probably one of the only companies in the country that actually makes wood-burners rather than importing them,’ he says. 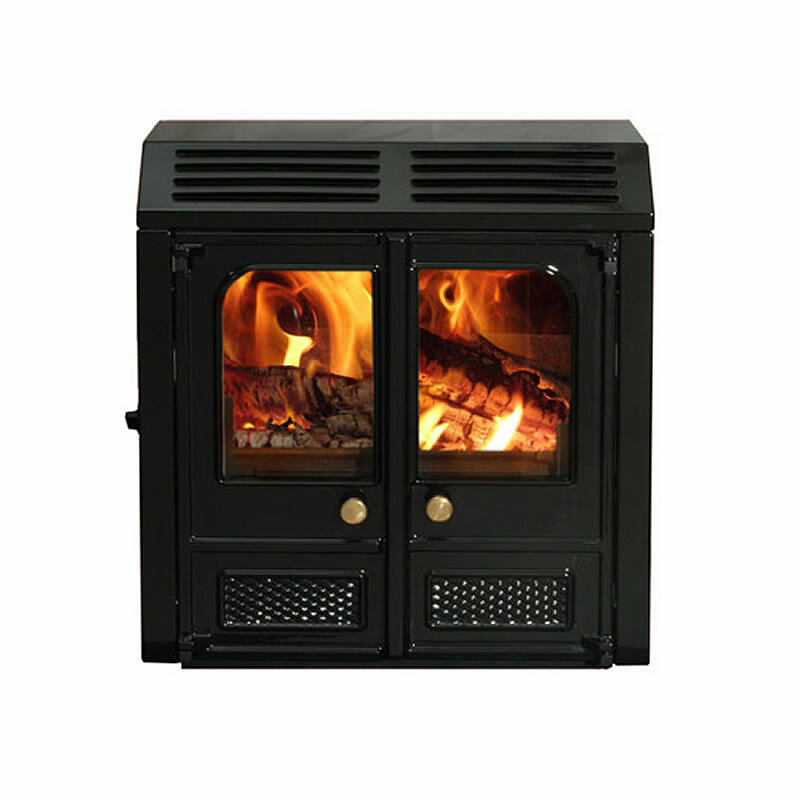 ‘Wood-burners are increasing in popularity all the time and they do have lots of advantages. With gas prices going up and up, they are seen as a real investment and they are much more efficient and controllable than an open fire where about 80 per cent of the heat goes up the chimney. 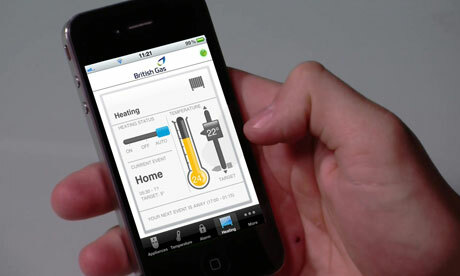 ‘If you burn £200 a year on an open fire, that would come down to about £50 a year with a wood-burner. The payback is almost instant. Nick Astley, who runs Fuelmizas, retailing a wide range of wood-burners in Ribchester, believes the economic argument is the main driver. ‘The powers that be would like to think people are buying wood-burners because they are carbon neutral and envionmentally-friendly but it’s really the price of fuel that’s causing the change. 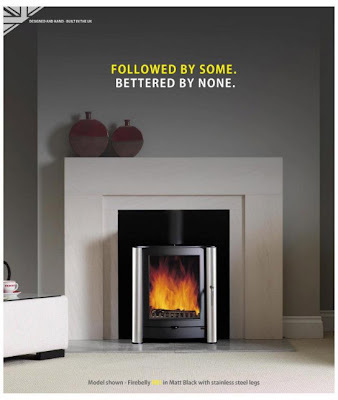 ‘Some are put off because they have concerns about living in restricted areas but you can now get Defra-approved wood-burners for smoke-free zones. ‘Others have visions of having to go out to collect wood, chop it with an axe, stack it and season the logs. But life’s too short. Like most people, we simply have the wood delivered.’ Cue George. An impressive range of wood and multifuel stoves are available from Stove Megastore, as well as a heat powered stove fan that can help distribute heat around the room, further reducing the amount of fuel needed. The performance and appearance of many appliances has increased dramatically in recent years, a good deal of this can be attributed to the availability of high temperature glass, we take a look at how the material has evolved into probably one of the most important components of high-efficiency fires and mutli-fuel stoves. The open-fire has for decades, if not centuries has been the symbol of where the family gathres to cook, and relax when the darkness of winter nights draws in. But with an open-fire, by definition being, well... open, the fire draws oxygen from wherever it can, normally resulting in a excess air being drawn across the fire and up the chimney, taking smoke from the fire and more importantly heat up the chimney and out of the house! Meaning you're literally watching your investment in whatever fuel you're using, whether it be wood, anthracite, oil or gas, literally disappearing up your chimney! By controlling the air supply you can very effectively manage the movement and escape of combustion products, allowing the maximum amount of heat to be harnessed. 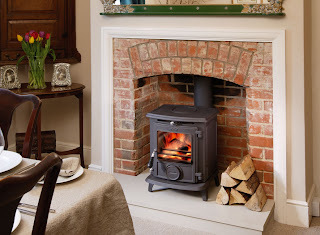 All of the UK stove manufacturer's such as Broseley, Aga, Portway to name but a few, now surpass the minimum 65% efficiency, with some even surpassing 80% gross. The same principles apply to the latest high-efficiency fires, with maimum efficiencies approaching 90% with fires such as the Gallery Solaris, Verine Orbis and the Laura Ashley Glass Fronted Fires all quoting up to 89% efficiency. For most people the view of the flame plays a pivotal role in creating the overall ambience, feeling and experience of being warm and comfortable, this has further increased demand for a high-temperature glass that allows unobstructed views of the fire inside. Conventional Building glass was the first material used, but this was quickly dismissed as temperatures were simply far too high for it to withstand. Mica windows were the next to be tested, however these greatly limited the size of the window and also proved to be not very reliable. Boroscilicate glass windows proved to be successful, with high temperature capability and allowing stove and fire designers to allow larger windows, with some stoves still using it today. 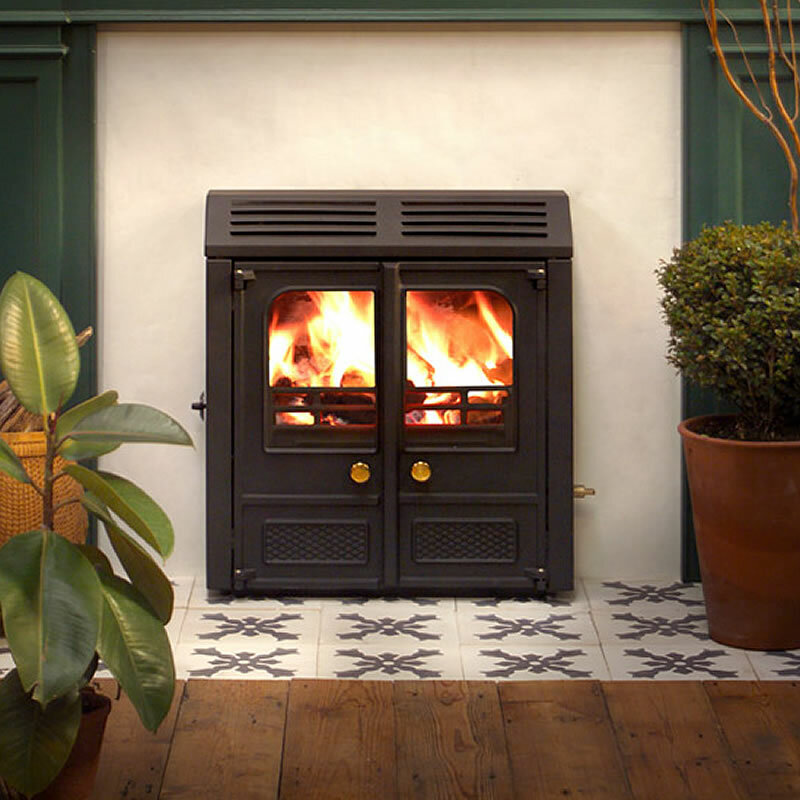 But over the last two decades a vast majority if not all high-efficiency fire and stove manufacturers have moved on from glass and now use ceramic technology, which provides the possibility of an unobstructed large viewing window. The "Transparent Ceramic Vision Panel" also allows for excellent heat transmission, allowing for more heat to be transferred out into the room, while also retaining sparks, embers and the combustion gases. 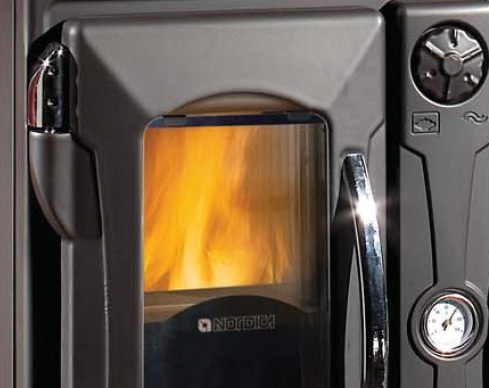 This evolution has allowed the design modern high-efficiency stoves and fires, particularly such as the Drugasar range, which without this ceramic glass just would not be possible. 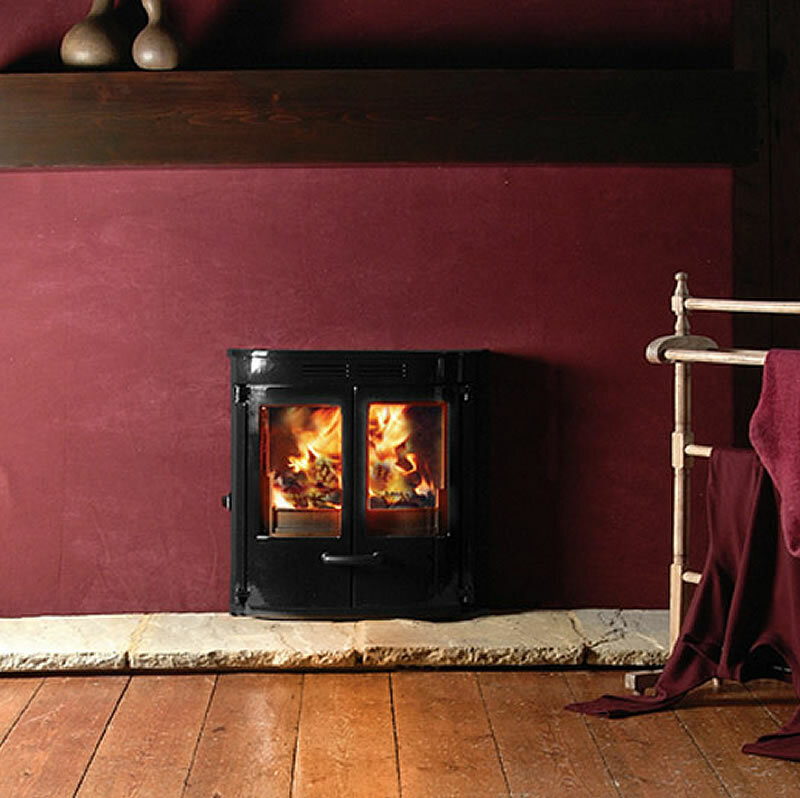 It's now 8 years since Firebelly Woodstoves started making it's mark on the industry with the launch of the FB1, a cleverly designed stove, which is commonly viewed as a successful marriage of both modern and traditional styles. Featuring tubular corners to offset and otherwise squarish design, the FB1 has an output of up to 6kW and the option for a rear or top 125mm (5 inch in old money) flue outlet. Measuring 522mm (width) x 605 (height) x 422mm (deep), the FB1 is also available as a double-sided "see-through" stove. Using the same basic design, the FB2 is the FB1's bigger brother and has an output of up to 12kW and a 150mm (6inch) top or rear flue outlet. The FB2 is wider at 640mm but otherwise shares the same height and depth as the FB1. A "double-sided" is also available. Key to the high efficiency of the FB range is the extensive use of high grade reflective ceramic linings which Firebelly have developed specifically for its designs. More recently Firebelly has unveiled the FB1 & FB2 stoves with brushed stainless steel 'legs' which, in combination with no less than 18 Different Colours can produce some fantastic looking stoves and means that from just 2 different stoves you can have 76 Different variations, meaning you can really make your own stove unique. All from two relatively simple designs. 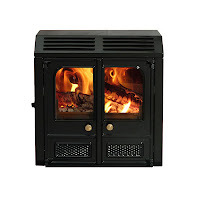 Log boxes and multi-fuel kits are also available together with a hot water boiler for the FB2 which can provide up to 8kW for central heating and domestic hot water. 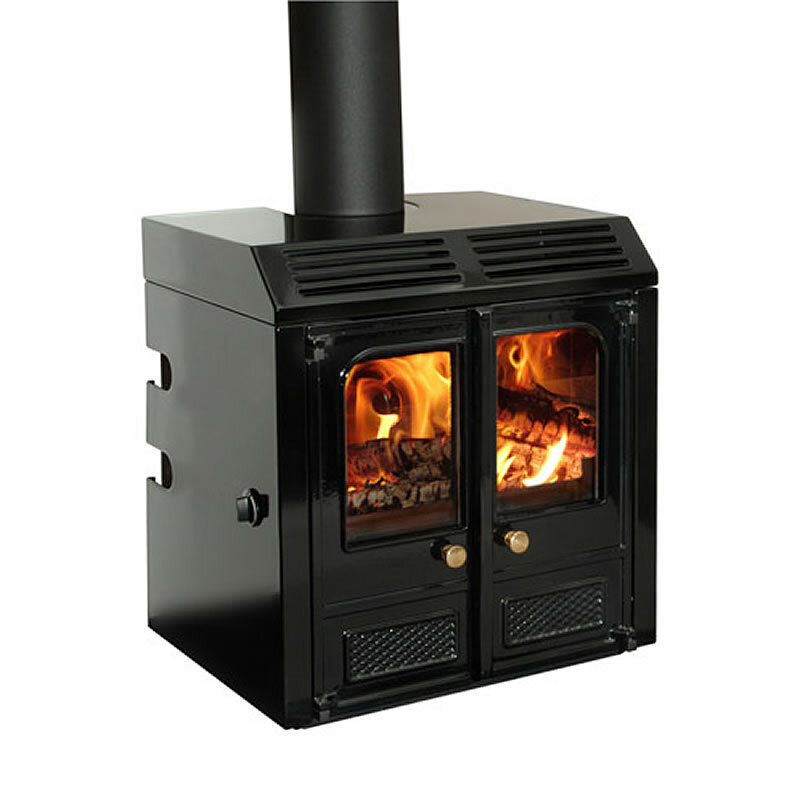 More recent additions to the range include the FB, a small stove with an output of upto 4kW, the Firepod, a pedestal stove with an output of up to 10kW and the Razen Cookstove made from stainless steel. "The success of Firebelly Woodstoves has a lot to do with keep the product range relatively simple but, most of all, by providing high levels of customer service." 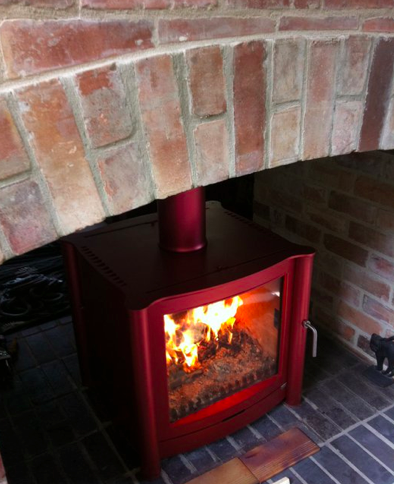 Says Craig Mollet, Managing Director of Firebelly Woodstoves. "Our success has mostly come from innovative design and high quality manufacturing, the latter supported by substantial investment in the very latest cutting equipment which provides exception precision." Firebelly Woodstoves makes great play of it's product being British made and is now exporing the products all over the world, including far-afield countries such as New Zealand and Japan. Craig concludeds "The stove market in the UK is becoming ever more competitive but our determination to keep the customer satisfied has worked to our advantage and we forsee Firebelly Woodstoves to become increasingly popular for some time to come"
The profit margin for energy firms has risen to £125 per customer per year, from £15 in June, says regulator Ofgem. The profit margin figure measures the amount suppliers would make if energy prices and bills were to remain unchanged for the next year. Ofgem predicts these profit margins, which apply to dual-fuel bills, will fall to about £90 a customer next year. 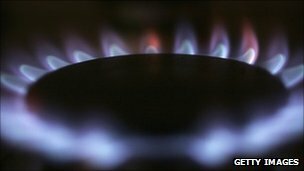 Ofgem has also confirmed it will force suppliers to simplify tariffs to make it easier to compare prices. As part of the simplification plan, suppliers will be forced to have no-frills tariffs, which would consist of a standing charge - fixed by the regulator - plus a unit charge for energy used. 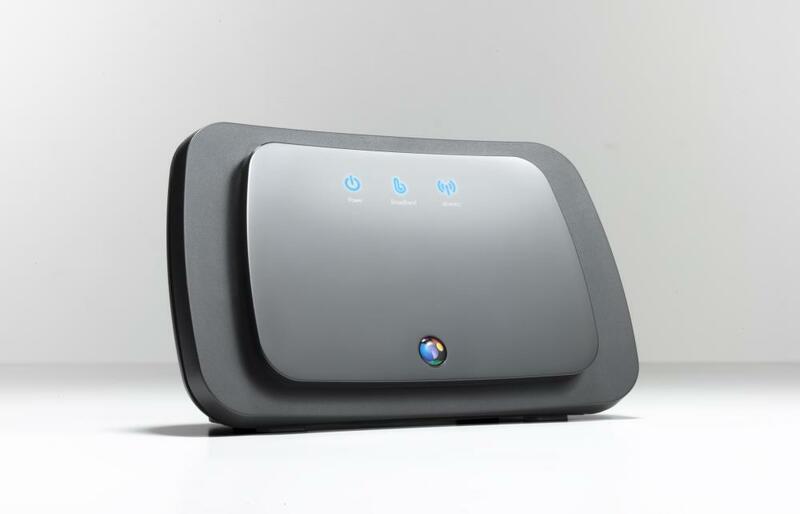 It means that the only number consumers would have to compare between suppliers would be the unit energy charge. 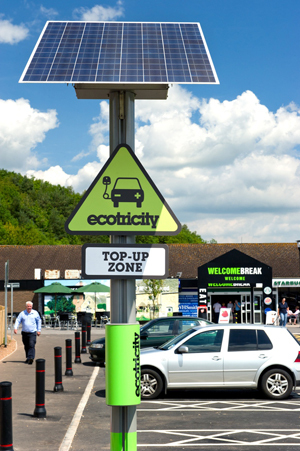 "The process of trying to switch from one supplier to another is hideously complicated - very off-putting even for quite intelligent people," Tim Yeo MP, chair of the Energy and Climate Change Committee told the BBC. He also criticised the rise in profit margins to a three-year-high as, "evidence of absolutely crass behaviour by the energy companies, with a jump in prices announced in the last few months ahead of what will be a winter in which most families face their highest ever electricity and gas bills". Market reforms More complicated tariffs would still be available, but they would have to be for a fixed period, with price increases not being allowed for the duration of the deal. The regulator will publish its detailed proposals for consultation next month and hopes to have implemented some of its reforms in time for winter 2012. "When consumers face energy bills at around £1,345 they must have complete confidence that this price is set by companies competing in a fully competitive market," said Ofgem's chief executive Alistair Buchanan. "At the moment that is not the case." In addition to trying to boost competition by simplifying tariffs, Ofgem is looking at how to reform the wholesale energy markets, which are the places suppliers go to buy their energy. Ofgem wants to reform those markets to allow greater competition with the big suppliers and will publish proposals in December. The bigger suppliers have an advantage because they generate their own power, selling most of it to consumers, with little of it going to wholesale markets. But earlier in the week, Scottish and Southern Energy announced plans to auction all of its power on the open market. 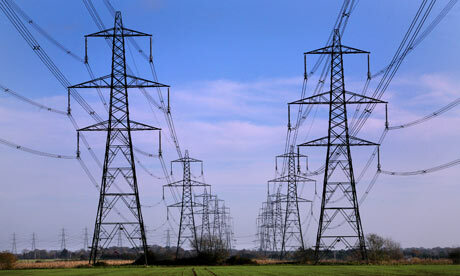 Ofgem has proposed that utilities must auction 20% of their electricity by 2013. 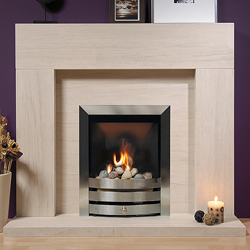 Europa Fireplaces have recently unveiled a range of natural Limestone fireplaces, you can find the whole range here. But for this article we've decided to focus on just one. The Europa Westerby. The Europa Westerby, unlike many other limestone surrounds does not get caught up in trying to be ornate or adding unnessesary detail. It focuses on doing main purpose correctly, housing a fire. But this utilitarian approach does not mean you're stuck with an ugly fireplace, quite the contrary in my opinion. 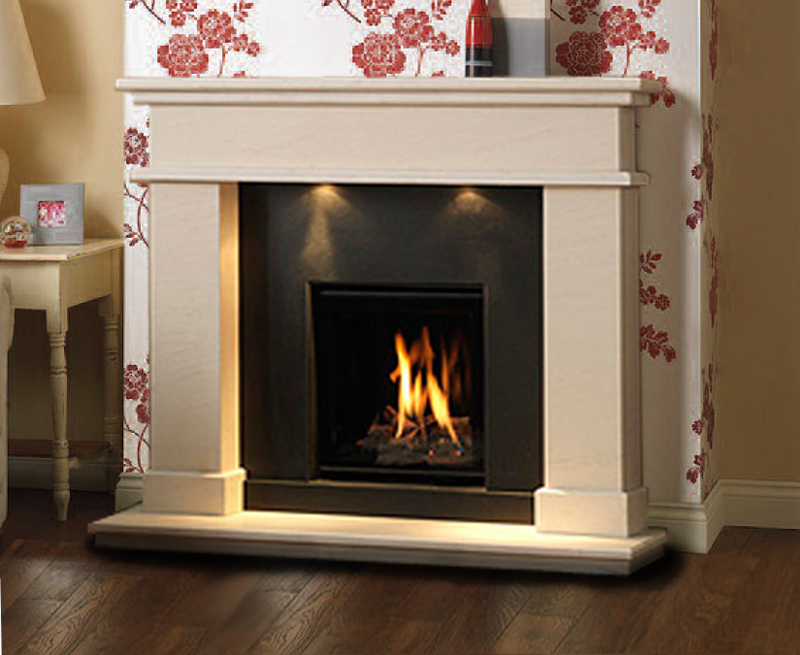 The clean vertical lines of the legs of the surround and strong line across the top of the fireplace adds horizontal definition and creates a very simple, yet very effective fireplace surround. Subtle, functional detailing such as where the header meets the legs and the joins in the three-piece back panel mean that the fireplace is not strikingly modernist. Combined with the choice of material, natural limestone means the clean lines, broken up with the natural mineral deposits, inclusions and fossils that limestone fireplaces all include mean the Europa Westerby offers an incredible feeling of quality while also being functional. 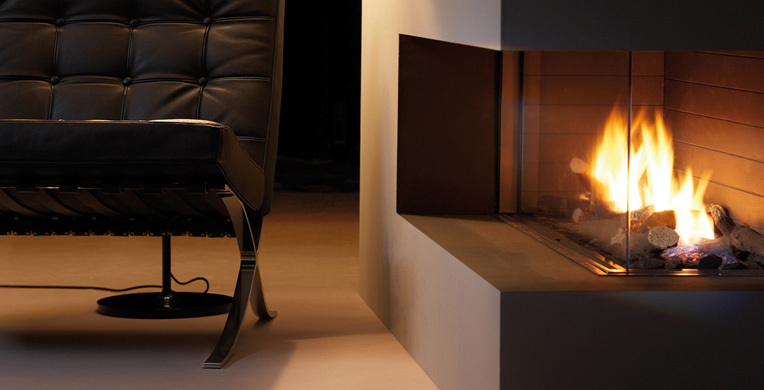 The Europa Westerby is now available for all Europa Fireplace dealers. Most houses used to be built with a standard chimney and traditionally it was there to just satisfy that one purpose, provide space for the chimney to go out through the house and carry away the harmful combustion gases. But in the ever changing world of interior design, who says the chimney breast can't become a focal point in the room in its own right? Instead of acting as a mounting plate for a fireplace or wall-hung picture. So why not make the chimney breast itself a focal point? Combine it with a fireplace to really create that focal point of the living room. In this article we look into just how to create that look in just a few simple steps. Doing away from the matching colourscheme across the whole wall room and going for a feature wall and chimney breast. 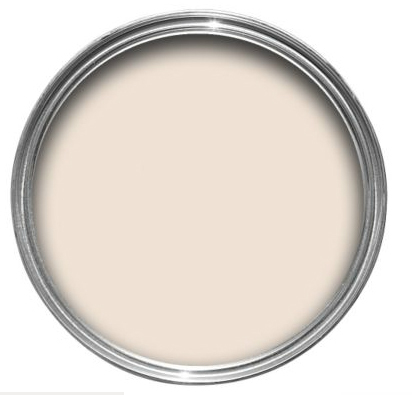 To achieve the look illustrated left we started with the wall itself either side of the chimney breast, to truly make the chimney breast a focal point the wall is painted in a warm off white colour, such as Magnolia. Which while not dominating means that the white walls aren't harsh and dominating. 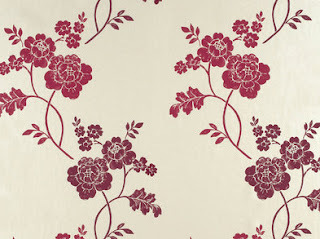 We then went for a lovely contrasting floral wallpaper for the chimney breast iteself, we went for Marciana Floral Wallpaper, Cranberry Red & Natural wall paper by Laura Ashley (available here) This stunning floral wallpaper features pearlescent inks and a washable coating. 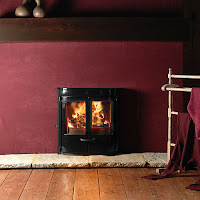 The deep cranberry reds contrast with the pale background to really accentuate the chimney breast. To top it all off we paired the lovely wallpaper with the Aura Suite from Drugasar. This stunning solid stone fireplace complements the neutral wall colour either side of the chimney breast while the downlights and contrasting black granite back panel highlights the fire in the centre. Finally a colour coded vase and ornament completes the look! The heat energy generated by wood fuel is measured as calorific value, and the main things that effect this are wood type and moisture content. Traditionally hardwoods - Oak, Sycamore, Ash - have been considered better as fuel than softwoods - Larch, Spruce, Douglas Fir. The reason is that hardwood is denser, so an identically sized hardwood log contains more carbon, provides more heat and burns longer. The truth is that both are good fuels. A kilogram of softwood can have the same calorific value as a kilogram of hardwood. You will need a greater volume of softwood logs to get the same energy, because they have a lower density, but they are generally cheaper. If you have room to store more logs and you don't mind re-filling your stove a little more often then softwood could be for you. 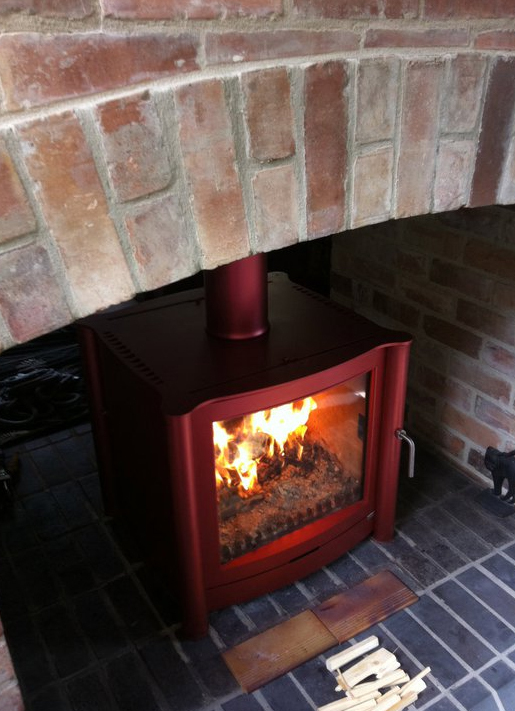 The most important measure for quality of wood fuel is moisture content. A heavier log will nor necessarily give more heat as half the weight of a green stove can be water! Wood needs to be dried, or seasoned, before burning. Forced or accelerated drying in powered or solar kilns is becoming more common with wood fuel processors. The more water in the wood you burn, the less heat for your house, because some of the hear released from your fire will have to evaporate the water, cooling the whole burning process down. This is heat that should be used to heat your home rather than create I efficient steam. Burning wet wood with more than 25% moisture content creates corrosive smoke and tar that can damage flue linings and cause chimney fires. Dry wood produces little smoke, low tar deposits and high efficiency heat output, especially when burnt in a modern appliance able to efficiently burn combustion gases. Freshly harvested wood will typically have a moisture content of 50%. Drying wood down to 20-25% moisture content will approximately double it's heat output. The industry quality standard has been set at 25% moisture content or less. It's always recommend you buy a moisture meter to test your firewood along a freshly split surface. As-well as ensuring that you're burning the correct wood, excellent air circulation around the stove is essential to ensure the whole room is heated rather than just a hot area around the stove. Many of you may have already experienced this, the area around the stove is lovely and warm, but when you move away from the immediate vicinity of the stove the temperature drops dramatically. This problem can be solved by using a heat-powered stove fan, as the stove heats up the fan blades start to spin and circulate the air around the room, meaning you could essentially get more heat from your stove.